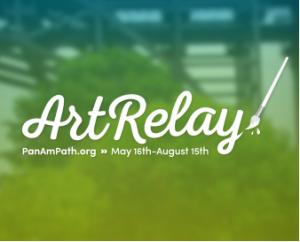 As Toronto gets set to host the Pan and Para-Pan Am Games this summer, art lovers around the city are already buzzing about the Pan Am Path Art Relay that will be one of the most innovative aspects of the summer’s mega-event. Over the course of the summer, there will be fourteen relay events held along the 84 kilometers of city-maintained trails that constitute the Pan Am Path. The finale, titled “Maadaadizi/Summer Journeys,” will be held across the city in Rouge Hill. Prior to each week’s event the Saturday edition of the Toronto Star will provide important information and a detailed map of what is to be expected. For the City of Toronto, the Path Art Relay is a truly monumental experiment. Local partnerships are vital to nearly every event along the relay, but the major partners behind the opening event will be the Humber Arboretum and Arts for Children and Youth. The event is said to include an outdoors component, so participants are encouraged to bring a solid pair of rubber boots. While the event will kick-off with a bike ride at 11 am, a full list of schedule activities can be found here. The central theme of the Path Art Relay is community. According to James Gen Meers, executive director of Friends of the Pan Am Path, “[The Art Relay] is all about a grassroots, community-led initiative.” Meers was one of the original five DiverseCity Fellows that met with Ostrom to explore different ways to bring Torontonians together in varying areas of the city. While the city already had a long-term plan for improving trail systems and a considerable sum of money set aside for projects related to the Pan Am Games, they saw a chance to deliver on both fronts at this critical juncture. “We saw an opportunity to combine forces and try to leverage some of the resources that were being allocated for legacy projects to promote an acceleration of trail-building that was already on the city books,” explains Meers. While the city looks forward to the events surrounding the Games this summer, it has also considered the lasting effects of hosting such an event. This is why they’ve decided to leave certain art pieces standing after the games have concluded. 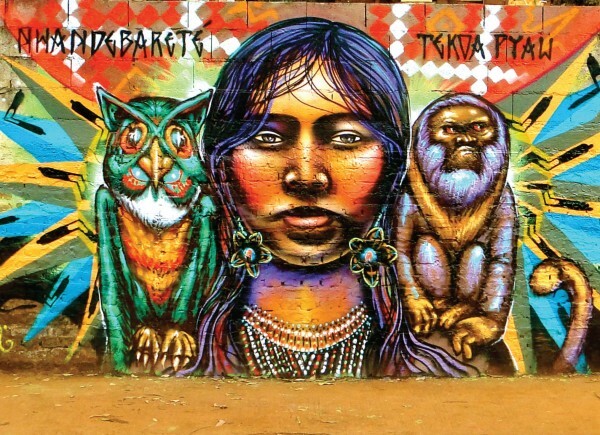 Several murals will remain throughout the city, a mosaic will become a permanent fixture under the Dundas West bridge, and a new gallery of Latin American art will stand at the conclusion of the Games. While the Pan Am Games will be the impetus for renewed focus on art and health in Toronto, hopes remain high that the event will kick off a renewed dedication to the arts and bring more focus to critical human health issues in the coming years. This entry was posted in Blog and tagged path art relay. Bookmark the permalink.